I’ve been working as an indie game developer for about 2 years now. In that time, I’ve learned a lot. Honestly, I feel that there are buckets, many many buckets, still left to learn. I handle everything on my games – conceptualization, design, programming and marketing. It is fun but daunting. I remember when I released my first game like it was yesterday. The day it went onto the App Store, I began feverishly checking download statistics, naively believing that I would start raking in the sweet app cash that I had been hearing so much about. I had done little to no marketing for this game that I spent so much time on. There was no buzz. Even worse, I had done absolutely no ASO (App Store Opimizaition, for the uninitiated). I think that I used 37 out of the 100 possible keyword characters available. I figured that if I built a good game, people would find it and then I’d be rich. In today’s and tomorrow’s app marketplace, the simple fact is that without some sort of ASO, the odds of your app or game being a success are slim to none. The majority of people that find your game are going to do so through an app search. Or, if you’re lucky, you’ll be a featured app and be prominently displayed and so much easier to find. But that was a lie. Luck really has nothing to do with it. Careful planning, designing the right icon and selecting the right keywords is essential. While icons are more of an art than science, keywords are nothing but science. And there are tools to help you in that all important process. My new best friend in the ASO process is Sensor Tower. Go check them out and then come back. I’ll wait. I remember looking at their tools for the time and thinking that I could never wrap my head around all of that information. I was wrong again. The site is easy to use, and, honestly, will change the way you look at ASO forevermore. 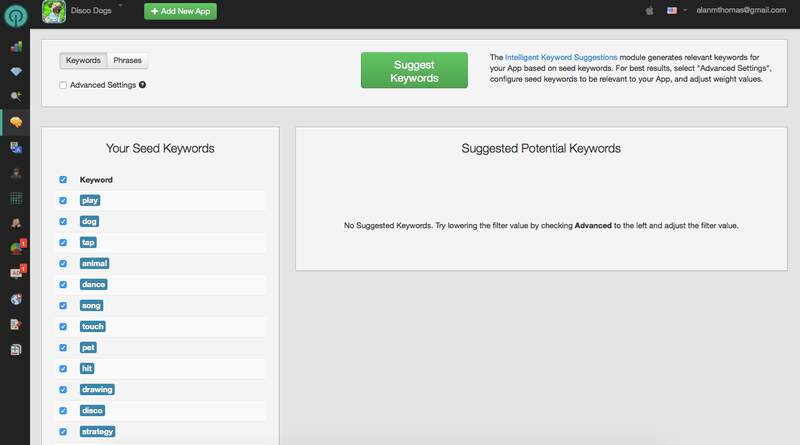 Let’s say, like me, you are getting ready to launch your app and have to select your keywords. Where to start? Sensor Tower has a plethora of useful tools, including the Keyword Suggestion Tool. 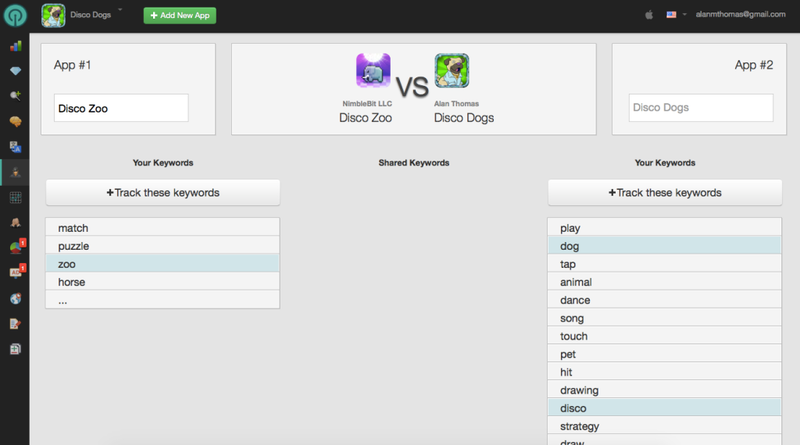 You can use their keyword research tool to look at what keywords competing apps are using. A very useful function. Keywords are listed by difficulty (how hard it will be to get your app listed with that keyword) and traffic (how heavy the traffic is on that particular keyword). Go through, make a list of easy-ish difficulty words that apply to your project that have some sort of traffic. You’re well on your way. Keyword Spy lets you see what your competition is using. Awesome! Other tools – Keyword Spy, Keyword Optimization, and Keyword Translation – make it easy to not only go through the ASO process intelligently, but also with the evidence based confidence that you are setting your project up for success. If you are making games or apps for the App Store, use Sensor Tower. It is just that simple. Spending just a little bit of time (far, far less than you spent on your game) will set you up for success. Otherwise, prepare to just be lost in the crowd.